Galley Wench Tales: Trip Advisor: Trustworthy? natural wonders in Eleuthera, Bahamas. This morning I googled the behemoth social media travel review site Trip Advisor and saw this not all that surprising link challenging its credibility. While this particular article comes from Cambodia, the same concerns about supposedly unbiased opinion sites are ubiquitous. So why did I google then visit Trip Advisor anyway? We just arrived in Bocas del Toro, Panama, literally a place both new and foreign. It just made sense to do a little research, and Trip Advisor is a known datapoint. I also use Lonely Planet, and purchased one on Panama before leaving on our trip here. "Is the water safe to drink here?" I asked Keith, who wandered by our boat when we pulled into Panama's Bocas del Toro Marina. "Of course!" he responded, seemingly puzzled by the question. 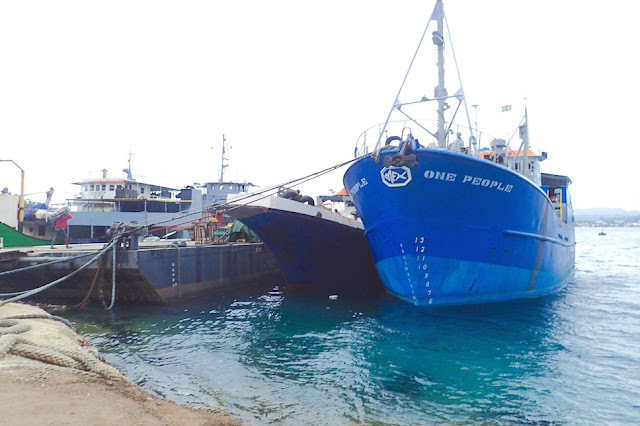 "Lonely Planet said Bocas del Toro's water is not safe to drink," I explained. "Oh! You trust them? My favorite hotel in Mexico was totally panned by them..." he cynically replied. prompted us to give it a pass. 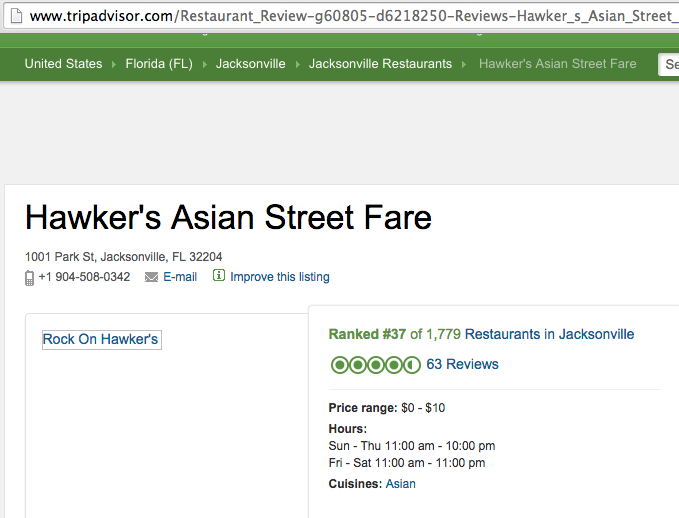 In Jacksonville Florida, while I researched restaurants with Trip Advisor and Yelp by type or in my neighborhood, I paid as much or attention to what the reviewers said about why they liked or disliked a restaurant than what the individual or overall ratings were -- just as I do with recommendations from friends and strangers. For example, did reviewers rave about the fried food? I probably wouldn't like it no matter how "good" it is as I rarely like fried food. If there was a comment about bad service, how recent was it? Were there lots of folks commenting specifically about how bad there service was? If I was in a hurry, and there were many recent complaints I might then choose another restaurant. Did they complain that the food was too spicy? Then I'd probably love it. And if I walked by a restaurant full of folks and a delicious scent wafted my way, the menu looked interesting and the prices fair, I would eat there, regardless of whether or not anyone gave the place bad reviews, or whether I knew nothing about it at all. I ate the best sushi in my life at a Tokyo fish market, chosen simply because it had a huge line and the one next to it had none. Call it my two cents worth, ego, or paying it forward. What makes these sites work is those who contribute. I am most likely to contribute about a place that is less known, or if I feel my opinion is different enough from what's already there or to provide additional, useful information. I don't expect everyone to agree with my reviews; that's not the point. 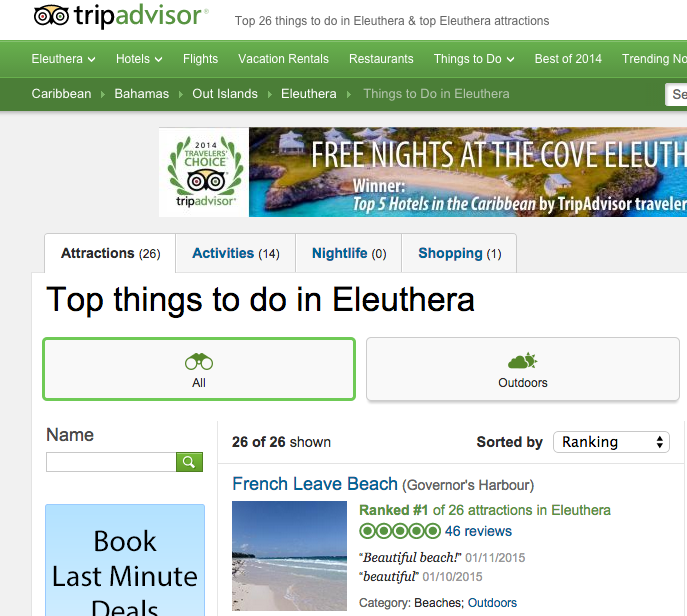 My fabulous Eleuthera experience was definitely enhanced by Eleuthera Trip Advisor reviewer's specific directions to Eleuthera's sometimes elusive natural wonders. There wonderfully quirky Titusville Florida Casa Coquina B&B we stayed in for less than $100 with one of the most humungous breakfasts ever wouldn't have happened without discovering it through Trip Advisor. Likewise the unexpectedly fantastic Vietnamese supper we had at Viet River that same Titusville trip. On Yelp I once panned Seattle's Fox Sports Grill for their disgustingly greasy good. Their manager wrote me back telling me that what I disliked was both a crowd favorite and his, asking me to change my review. I did not. What surprised me more on Yelp was when I got an angry email accusing me of being mean spirited about the Concrete Washington motel I gave a lousy review. "The hotel is great and will close down because of you," the writer claimed. "Write your own review," I responded. And I meant it, even though I expected it to completely contradict my opinion. Then came the big surprise. Yelp chastised me the next day, saying the photos I posted (they were of the hotel's unbelievably tacky interior) were in violation of their standards. When I wrote back asking what standards I violated, I never got an answer, but Yelp pulled the interior photos on that review. Coincidence? Unlikely. Your Review Site Experience, Please! Do you write for any, or just read reviews? Can you share a story of an awesome finds as a result of review site? 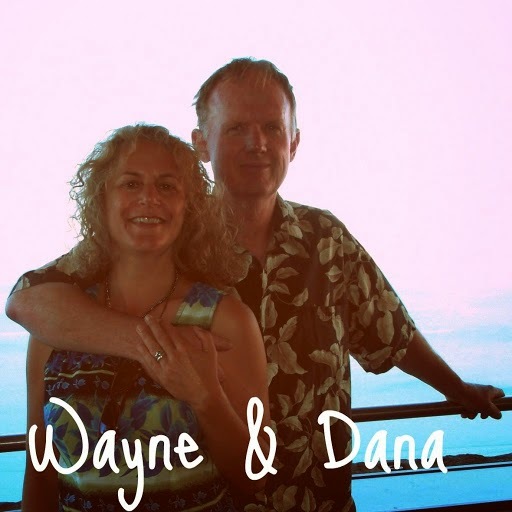 Top rated to-do on Trip Advisor for Bocas del Toro, Panama. reach it or price. That, or the Green Acres chocolate tour? For this post it doesn't really matter! 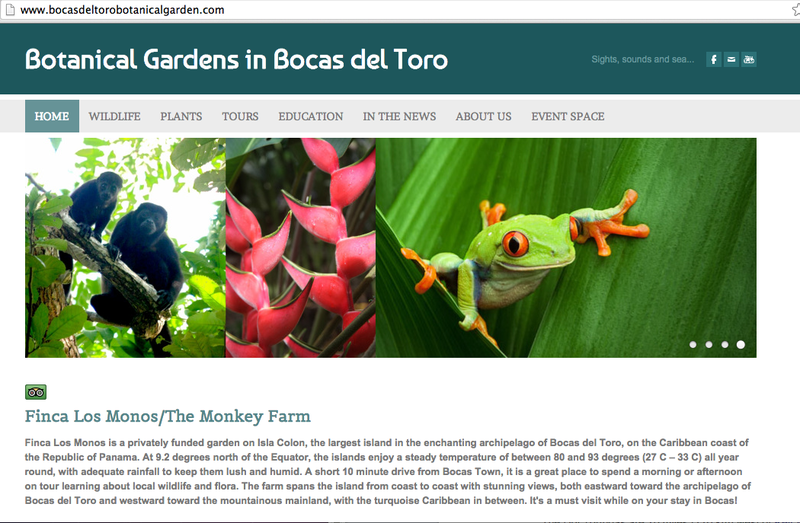 Though I confess we're in Bocas del Toro Marina in Panama and it's nice being able to use internet for googling and including relevant links! Now, back to my regularly scheduled posts.